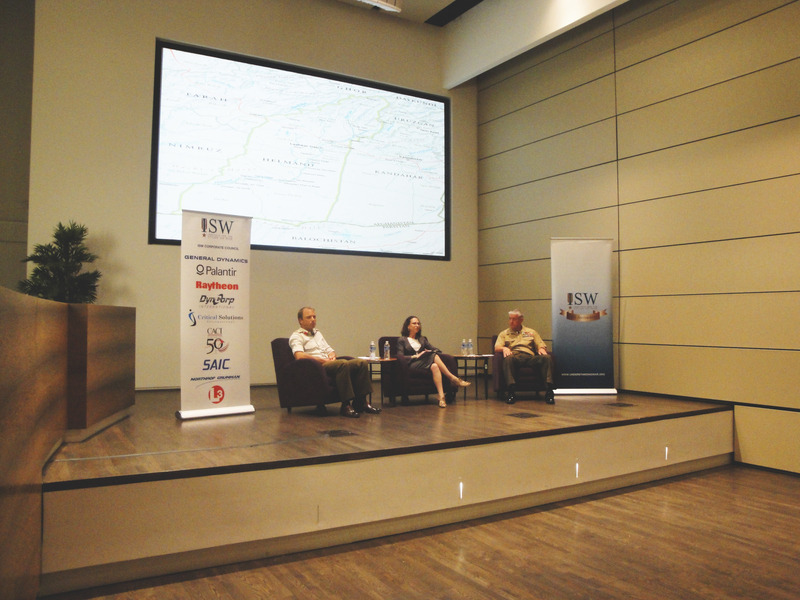 ISW hosted an on-the-record conversation about counterinsurgency in Afghanistan with Major General Charles Gurganus and Brigadier Stuart Skeates on April 16, 2013. Click here to download the transcript. Major General Gurganus, who took command of the Marine Expeditionary Force Forward last year, led Marines and coalition forces as they continued the counterinsurgency campaign in Helmand and Nimroz provinces while providing support and assistance to Afghan security forces and overseeing the drawdown of more than 10,000 Marines and coalition troops from the country. Brigadier Stuart Skeates has served on operations in Saudi Arabia, Kuwait and Iraq (on Operation GRANBY and Operation TELIC 1), Afghanistan (on Operation FINGAL and Operation HERRICK 6 and 7), the Balkans (on Operation GRAPPLE and Operation BESSEMER), Cyprus (on Operation TOSCA) and Northern Ireland (on Operation BANNER). He is currently the Deputy Commander of I Marine Expeditionary Force Forward.